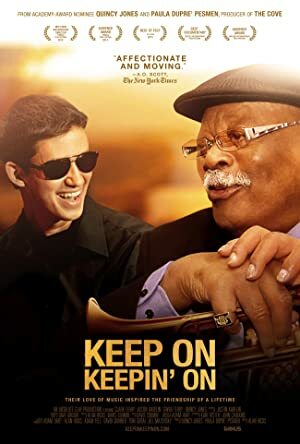 A documentary that follows jazz legend Clark Terry over four years to document the mentorship between Terry and 23-year-old blind piano prodigy Justin Kauflin as the young man prepares to compete in an elite, international competition. The film explores the global power and impact of the music of John Coltrane and reveals the passions, experiences and forces that shaped his life and revolutionary sounds. Five top baristas find themselves pushing the limits of coffee perfection to win the National Barista Championship – a surreal competition where even one mistake is far too many. Small-town import Ryan Hamilton charms New York with folksy comic observations on big-city life, hot-air ballooning and going to Disney World alone. Desperate, broken men chase their dreams and run from their demons in the North Dakota oil fields. A local Pastor’s decision to help them has extraordinary and unexpected consequences.